Blueprint Reality is pleased to announce that we’re working with SpringboardVR to help VR arcade operators be more successful! We think it’s super important that VR arcades thrive in order to maintain a healthy VR ecosystem and the MixCast VR Marketing System can help. Your customers can create fun memories in VR, capture awesome in-VR pictures and video, and share them on social media – the MixCast VR Marketing System makes it all possible! 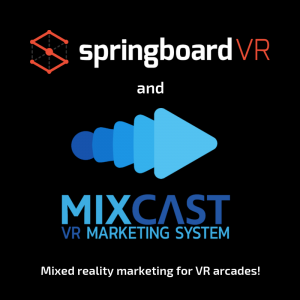 If you’re a SpringboardVR arcade operator who is interested in offering MixCast Pics & Clips (that’s what we’re calling our mixed reality pictures and video) to your customers, please contact springboardvrarcades@mixcast.me.  If you’re a content provider and would like your game to be available for the MixCast VR Marketing System, please integrate the free MixCast SDK, which is available for projects built in Unity and Unreal and available on the MixCast website at https://mixcast.me. For more information please contact us at sdkintegrations@mixcast.me. SpringboardVR and Blueprint Reality Partner to Provide VR Arcade Operators with the MixCast™ VR Marketing System! VR Arcade Players can Create, Capture and Share Their Favorite In-Game Moments in Mixed Reality with Their Social Communities! Vancouver, BC – February 7, 2019 – Blueprint Reality Inc. (Blueprint), the creators of the MixCast VR Marketing System, a virtual reality broadcasting platform, today announced a partnership agreement with SpringboardVR, the leading station management platform for location-based VR. The two companies plan to add a whole new dimension to the VR arcade experience – now, game players can easily share the magical experiences they encounter inside their favorite VR games via their social media networks! MixCast VR Photobooth, a component of the MixCast VR Marketing System, allows VR game players to create fun memories by capturing pictures and video of their real-life selves inside their favorite VR gaming experiences. The MixCast VR Marketing System can be used to distribute these mixed reality “Pics & Clips” which can then be shared with social communities on Facebook, Twitter, Instagram and YouTube. Not only does MixCast allow VR arcade operators to leverage the power of social media to create awareness for their venues and the games they make available, but it can also help explain what VR is to potential customers. If you’re a SpringboardVR arcade operator who is interested in offering MixCast Pics & Clips to your customers, please contact springboardvrarcades@mixcast.me. SpringboardVR is station management, game launching and content distribution for location-based VR. SpringboardVR makes the best VR content available to everyone, everywhere. Over 4 million minutes played monthly in 450+ locations totaling over 2,250 headsets and 40 + countries. Blueprint Reality are the creators of the MixCast platform and the MixCast VR Marketing System, a video-based mixed reality program that puts customers into a VR experience, automatically captures photo and video of them in the virtual world they’re in, and delivers immediately accessible, personalized, sharable social media content. Learn more at mixcast.me. Blueprint Reality was selected by Ready to Rocket as a 2018 Revenue Growth Leader of Tomorrow. Link to press kit.